Technically we are still in summer until September 22nd, when autumn officially arrives. This month the daytime temperatures should drop 10-15 degrees and the morning lows will dip into the 40's. Don't expect a hard freeze here in the valleys but up in the mountains a hard freeze is very possible. Start cutting back on the watering and plan by the end of the month to be watering established plants and lawn once a week. Fall gardening in Northern Nevada is especially gratifying and many gardeners think it is absolutely the best time to plant ornamental trees, shrubs and fruit trees. On September 16th we will have our final Full Moon Madness sale, from 8 AM - 6 PM. It's time to plant onion sets and garlic for harvesting next summer. 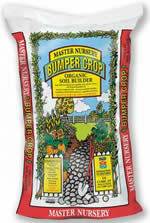 Peas, lettuce, spinach and radishes can once again be planted and enjoyed through October. This fall, let us help you plan a bulb garden for a spectacular spring display of color. The best selection of spring bulbs and iris rhizomes is in September. Wait to plant your bulbs until the end of October because it is usually too warm to plant sooner. While you are still enjoying your summer vegetable garden know that there is still a lot of gardening time left in September and October. We had a wonderful time at our annual Art At The Greenhouse event on August 13th. The weather couldn't have been more perfect. The entertainment was spectacular. Jakki Ford, in conjunction with Carson City Jazz and Beyond was simply delightful. Randi Ide entertained us all in another location with favorite sounds from the 70's, 80's, and 90's. This year, we had the Nevada Nosh food truck and the CHS Band Boosters both serving up delicious eats. The quality of the work that the 40 artists brought to this event was amazing. The public has voted for their favorite artists and the winners are: Kathleen Stemler - 1st place, Sandy Trainer - 2nd place, and Leigh Lunt 3rd place. Join us next year, the second Saturday in August, when we will be celebrating the 14th annual Art At The Greenhouse. Bonus Bucks may be redeemed for regularly priced merchandise, for face value, for up to 50% of a purchase. HURRY, THIS IS THE LAST SALE OF THIS MERCHANDISE THIS YEAR. DAVID AND JULIE ARE GOING TO MARKET. CALL AND RESERVE MASON BEES NOW FOR NEXT SPRING DELIVERY. AFTER NOVEMBER, THEY WILL NOT BE AVAILABLE. Check out our Arrows. Don't get hung up with just one plaque. Try one for every season, holidays and everyday. Purchase one arrow - and then all the plaques are interchangeable. Greenhouse Garden Center is thrilled to bring a J. Frank Schmidt maple, Flashfire Sugar Maple, into our maple selections. This beauty grows 45' tall with a spread of 40' and is USDA zoned 4. Selected from Caddo Mountain sugar maple seedlings, this tree has the brightest red fall color we have seen in a cultivar adapted to Southern heat. It features dark green summer foliage, better mildew resistance than other Caddo selections, strong growth, and a brilliant red early fall color. EcoSocks are a new product from TLC, the same company that supplies Pond Perfect. Fall and Spring EcoSocks are specially designed to work during the cold season to continuously degrade the muck and sludge in the bottom of your pond. The special probiotics in Fall and Spring Prep EcoSocks are proven to function at very cold temperatures. EcoSocks are a mix of freeze dried bacteria and enzymes, plus bacterial probiotics, all encased in a burlap sack. The result is a slow-release, simple system that delivers massive quantities of probiotics that work all winter long. EcoSocks are 100% biodegradable, so you can just toss them into a pond and let them degrade over time. EcoSocks are completely non-toxic, and are completely safe for fish, birds, wildlife, and desirable aquatic plants! Before bringing your favorite geraniums (or any other plant that can be a winter houseplant) inside, treat plants with Systemic Houseplant Insect Control to prevent indoor insect infestation. Bulbs! Bulbs! Bulbs! Nothing heralds spring with more fervor than crocus, tulips, daffodils, and hyacinths. While September is too early to plant bulbs, the best selection is now. Most tulips and daffodils perform at their best for 2 years with good fertilization. After 2 years, most begin to fail, so think about replacing those that look as though the blooms are lacking their original luster. Try a new design or color. Work in organics like Bumper Crop and fertilizer like Dr. Earth Bulb Food whenever possible, because Northern Nevada soils are of poor quality. Turn the heat to medium and allow to cook till all mussels have opened up. Immediately remove from the stove and drain. IMPORTANT: REMOVE any and all mussels that will not open. Those should be thrown away. In a large pot, bring to boil water for pasta. Cook according to directions. In a small pot, add four sticks of unsalted butter, 1/2 cup white wine and four halved garlic cloves. Allow to come to a boil, then simmer for 10 minutes. Remove from heat and remove garlic if desired. In a large bowl, add drained pasta and toss with the sauce. Serve on individual plates topped with a dozen mussels per serving! Enjoy! Easy, delicious and fun to make!